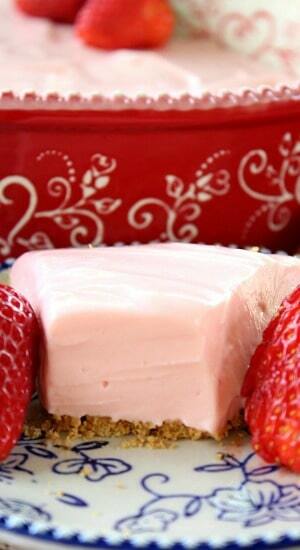 This strawberry cream cheese pie is super delicious and extra creamy. 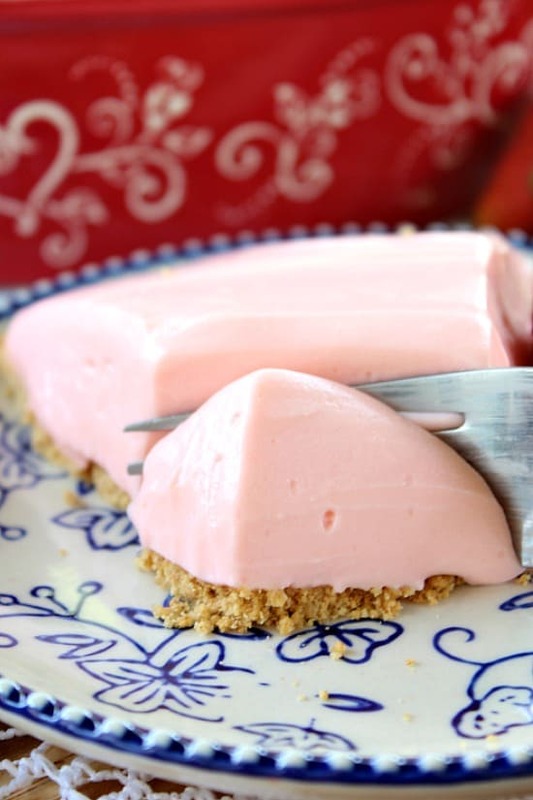 Your family and friends will love this pie. It’s so easy to whip up. 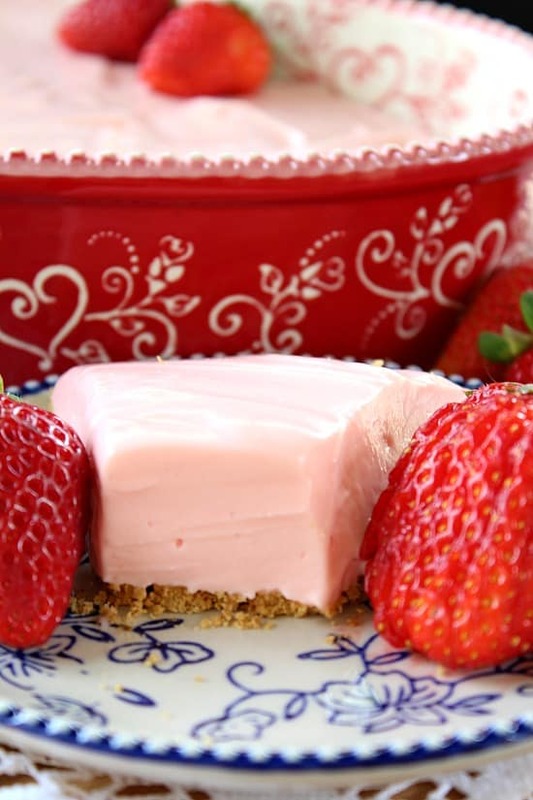 Garnish with some fresh strawberries and there you have it, a beautiful strawberry cream cheese pie to enjoy. 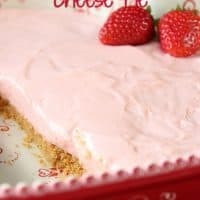 This strawberry cream cheese pie is made just like my popular cream cheese lemonade pie but with strawberry creme instant pudding and strawberry breeze concentrate. So yummy. This pie is a great crowd pleaser and the pie filling takes about 10 minutes to make, actually a little less than that. Just put the cream cheese in a bowl while you mix up the pudding mix. Let the cream cheese sit out at room temperature for a few. It doesn’t need to sit out long. 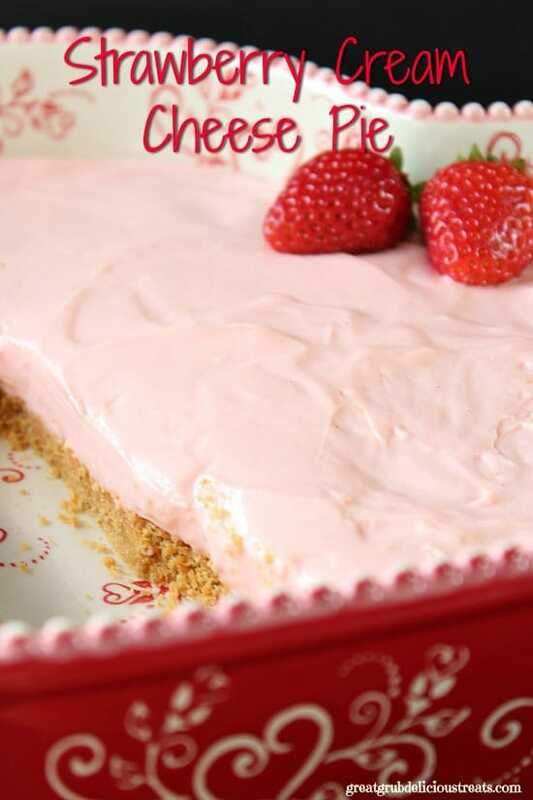 Then beat the cream cheese until creamy. Add in the concentrate and beat well. Then add the pudding mix into the cream cheese mixture. 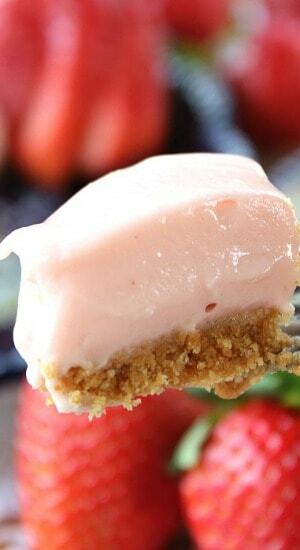 Spoon into prepared graham cracker crust, or pre-made graham cracker crust, and let chill for 4 or more hours. Just look how delicious this bite looks. It’s super creamy. 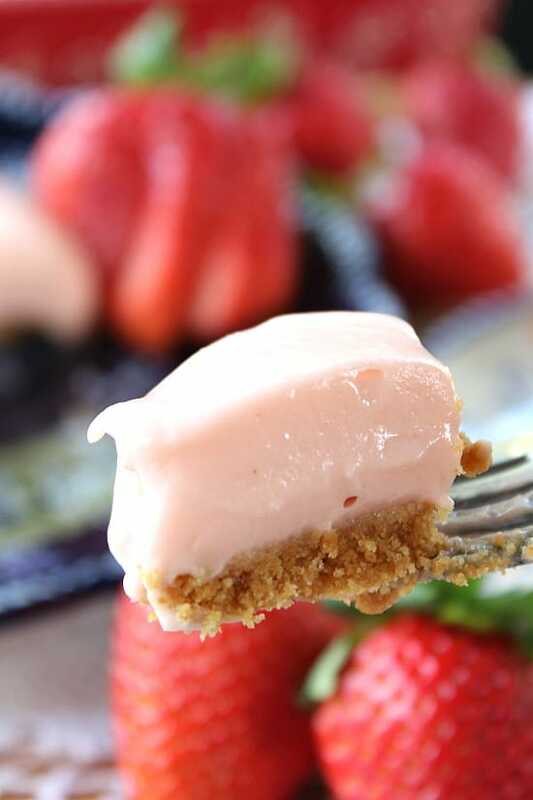 You are going to love this if you love strawberry cream. 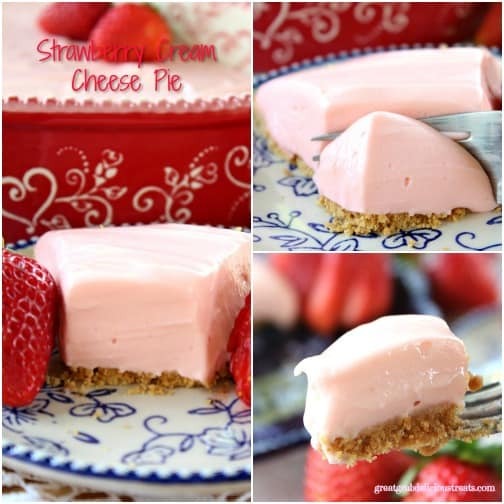 Try this strawberry cream cheese pie the next time you are wanting something light and fluffy… and delicious. Gradually beat in strawberry breeze concentrate. Here are a couple popular pins that are the perfect size for pinning on Pinterest.